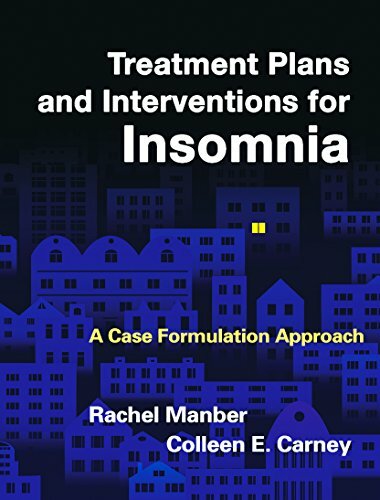 [PDF] Treatment Plans and Interventions for Insomnia: A Case Formulation Approach (Treatment Plans and Interventions for Evidence-Based Psychot) | Free eBooks Download - EBOOKEE! Description: Poor sleep is a significant source of distress and is also a symptom of other problems, such as anxiety and depressive disorders. From leading experts in cognitive-behavioral therapy for insomnia (CBT-I), this state-of-the-art book provides a framework for tailoring treatment for clients with an array of sleep difficulties. Clinicians are guided to make important decisions about what treatment components to use and how to optimize their effectiveness. Two chapter-length clinical examples vividly illustrate case conceptualization, treatment planning, and session-by-session implementation. In a convenient large-size format, the book includes reproducible forms and handouts. Purchasers get access to a Web page where they can download and print the reproducible materials. No comments for "[PDF] Treatment Plans and Interventions for Insomnia: A Case Formulation Approach (Treatment Plans and Interventions for Evidence-Based Psychot)".